"Simon Beccle is ‘a magnet for A-list clients’." Simon has an extensive and busy family law practice specialising right across the spectrum of divorce, financial claims, civil partnership disputes, co-habitee disputes and disputes relating to children. In addition, he advises on and drafts cohabitation, separation and pre-nuptial agreements, of which there are a growing number. Much of his work includes an international element and he frequently advises on choice of jurisdiction as well as on the removal of children out of the jurisdiction. Simon's clients have included nationals of the USA, Canada, Australia, Saudi Arabia, Dubai, France, Germany, Italy, Spain and Poland, and from the sports of horse racing, tennis and golf. Simon is in a unique position of having had two family law cases heard in the Supreme Court which have been reported both nationally and internationally. Simon acted for Pamela White in the ground-breaking decision on the distribution of property and assets on divorce, White v White (2000), which provides for equality as the starting point in the division of assets to ensure the absence of discrimination between the breadwinner on the one hand and the homemaker on the other. Simon acted for Tini Owens in Tini Owens v Hugh John Owens (2018) in which the Supreme Court refused her a divorce notwithstanding the fact that the marriage had broken down irretrievably and the parties had separated. The Supreme Court upheld the decision of the lower courts that in spite of Mrs Owens having provided 27 examples of Mr Owens's behaviour towards her, he had not behaved in such a way that she could not reasonably be expected to live with him. In the light of this case, the Government announced in February 2019 and in a formal Press Release in April 2019, that following a consultation which has received overwhelming support from the public, judges, lawyers and policitians, that it will be introducing legislation as soon as Parliamentary time allows to bring in "no fault" divorce. In the Matter of R (Children) (2016) a Court of Appeal Judgment of Lords Justices McFarlane and Lindblom dismissing a father’s appeal against losing direct contact with his children. Hayat Youssef Alireza v Hossam Youssef Ibrahim Radwan and Others (2017) a widely reported Court of Appeal Judgement of Lady Justice Gloster, Law Justice Lewison and Lady Justice King relating to extent to which a prospective inheritance was capable of being a financial resource which could be taken into account in an application for financial relief in divorce proceedings. The case has been remitted back to the High Court to determine extent of the lump sum Ms Alireza should receive from Mr Radwan. Tini Owens v Hugh John Owens (2017) a widely reported Court of Appeal Judgment of the President of the Family Division, Sir James Munby, Lady Justice Hallett and Lady Justice Macur refusing the wife a divorce. RH v RH (2008) a High Court Judgment of Mr Justice Singer relating to financial remedy claims on divorce and costs. Seagrove v Sullivan (2014) a High Court Judgment of Mr Justice Holman in a cohabitee dispute involving claims under The Trusts of Law and Appointment of Trustees Act and under Schedule 1 of The Children Act. NR v AB (Financial Remedies) (2016) a High Court Judgment of Mrs Justice Roberts relating to financial remedy claims on divorce, the principle of the clean break and extent to which a prospective inheritance was capable of being a financial resource which could be taken into account in an application for financial relief in divorce proceedings. K, L and M (Children) (Child Arrangements Order) (2016) a High Court Judgment of Ms Justice Russell relating to child arrangements re a father losing direct contact with his children due to his conduct towards them. ABX and SBX and DX (2018) a High Court Judgment of Mr Justice Francis relating to financial remedy claims on divorce and issues concerning add backs, section 37 (set aside) applications and offer letters. Simon took a degree in History before qualifying as a lawyer in 1990. He is recommended by Chambers, Legal Experts, The Legal 500 and is also listed in the Honours List for Leading Family & Matrimonial Lawyers in the Citywealth Leaders List 2018. 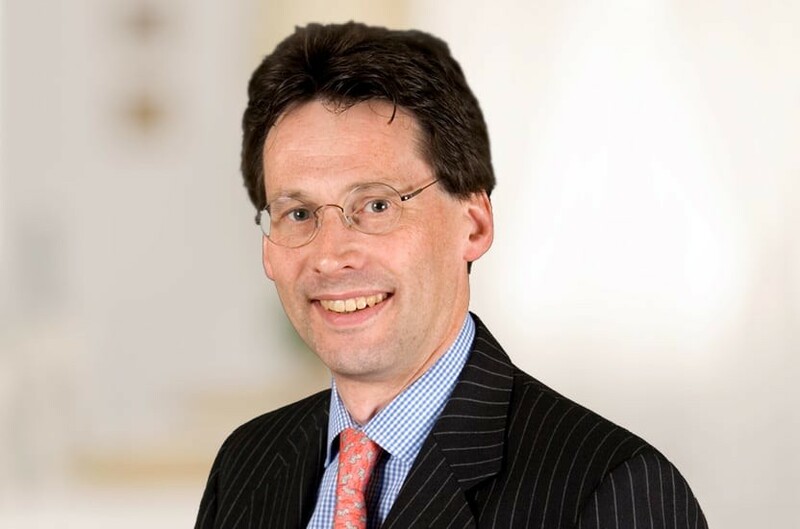 From 2012 to 2018 Simon was Clerk to the Council and a Governor of Bradfield College, where he was also educated. Qualified 1990, joined Payne Hicks Beach 1998, partner 2001. "Client care is second to none...Simon Beccle is empathetic and wise"